Sounds of Science: The Mystique of Sonification | Sounding Out! 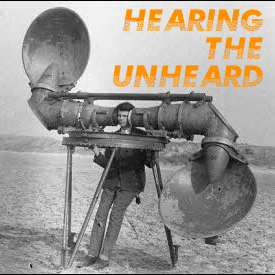 Welcome to the final installment of Hearing the UnHeard, Sounding Out!‘s series on what we don’t hear and how this unheard world affects us. The series started out with my post on hearing, large and small, continued with a piece by China Blue on the sounds of catastrophic impacts, and Milton Garcés’ piece on the infrasonic world of volcanoes. To cap it all off, we introduce The Sounds of Science by professor, cellist and interactive media expert, Margaret Schedel. Dr. Schedel is an Associate Professor of Composition and Computer Music at Stony Brook University. Through her work, she explores the relatively new field of Data Sonification, generating new ways to perceive and interact with information through the use of sound. While everyone is familiar with informatics, graphs and images used to convey complex information, her work explores how we can expand our understanding of even complex scientific information by using our fastest and most emotionally compelling sense, hearing. With the invention of digital sound, the number of scientific experiments using sound has skyrocketed in the 21st century, and as Sounding Out! readers know, sonification has started to enter the public consciousness as a new and refreshing alternative modality for exploring and understanding many kinds of datasets emerging from research into everything from deep space to the underground. We seem to be in a moment in which “science that sounds” has a special magic, a mystique that relies to some extent on misunderstandings in popular awareness about the processes and potentials of that alternative modality. For one thing, using sound to understand scientific phenomena is not actually new. 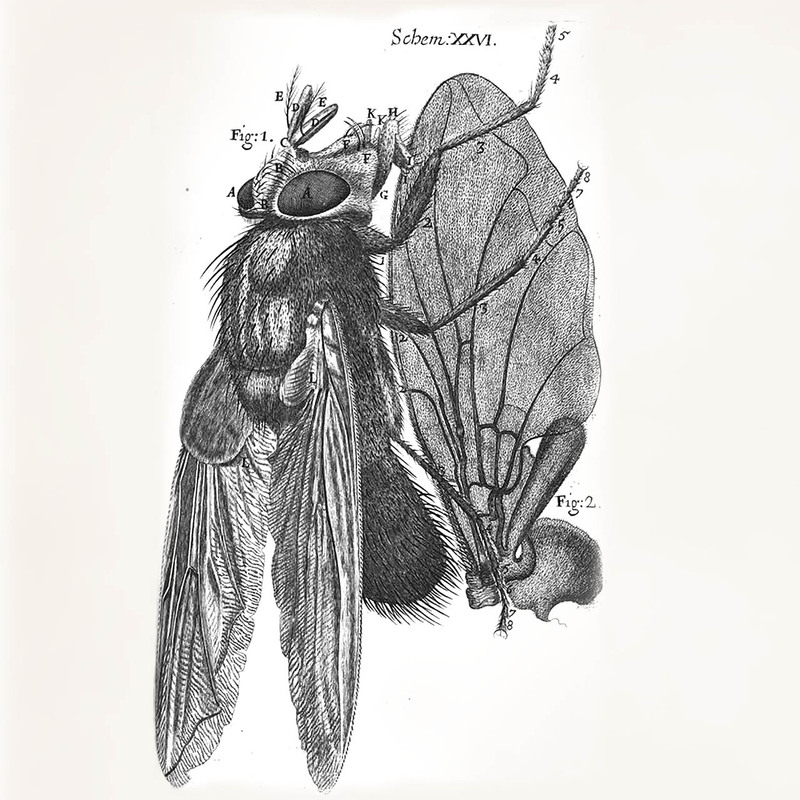 Diarist Samuel Pepys wrote about meeting scientist Robert Hooke in 1666 that “he is able to tell how many strokes a fly makes with her wings (those flies that hum in their flying) by the note that it answers to in musique during their flying.” Unfortunately Hooke never published his findings, leading researchers to speculate on his methods. One popular theory is that he tied strings of varying lengths between a fly and an ear trumpet, recognizing that sympathetic resonance would cause the correct length string to vibrate, thus allowing him to calculate the frequency. Even Galileo used sound, showing the constant acceleration of a ball due to gravity by using an inclined plane with thin moveable frets. By moving the placement of the frets until the clicks created an even tempo he was able to come up with a mathematical equation to describe how time and distance relate when an object falls. Sonification clearly enables scientists, musicians and the public to interact with data in a very different way, particularly compared to the more numerous techniques involving vision. Indeed, because hearing functions quite differently than vision, sonification offers an alternative kind of understanding of data (sometimes more accurate), which would not be possible using eyes alone. Hearing is multi-directional—our ears don’t have to be pointing at a sound source in order to sense it. 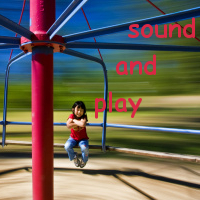 Furthermore, the frequency response of our hearing is thousands of times more accurate than our vision. 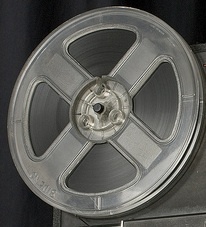 In order to reproduce a moving image the sampling rate (called frame-rate) for film is 24 frames per second, while audio has to be sampled at 44,100 frames per second in order to accurately reproduce sound. In addition, aural perception works on simultaneous time scales—we can take in multiple streams of audio data at once at many different dynamics, while our pupils dilate and contract, limiting how much visual data we can absorb at a single time. Our ears are also amazing at detecting regular patterns over time in data; we hear these patterns as frequency, harmonic relationships, and timbre. Image credit: Dr. Kevin Yager, Brookhaven National Lab. But hearing isn’t simple, either. In the current fascination with sonification, the fact that aesthetic decisions must be made in order to translate data into the auditory domain can be obscured. Headlines such as “Here’s What the Higgs Boson Sounds Like” are much sexier than headlines such as “Here is What One Possible Mapping of Some of the Data We Have Collected from a Scientific Measuring Instrument (which itself has inaccuracies) Into Sound.” To illustrate the complexity of these aesthetic decisions, which are always interior to the sonification process, I focus here on how my collaborators and I have been using sound to understand many kinds of scientific data. My husband, Kevin Yager, a staff scientist at Brookhaven National Laboratory, works at the Center for Functional Nanomaterials using scattering data from x-rays to probe the structure of matter. One night I asked him how exactly the science of x-ray scattering works. He explained that X-rays “scatter” off of all the atoms/particles in the sample and the intensity is measured by a detector. He can then calculate the structure of the material, using the Fast Fourier Transform (FFT) algorithm. He started to explain FFT to me, but I interrupted him because I use FFT all the time in computer music. The same algorithm he uses to determine the structure of matter, musicians use to separate frequency content from time. When I was researching this post, I found a site for computer music which actually discusses x-ray scattering as a precursor for FFT used in sonic applications. To date, most sonifications have used data which changes over time – a fly’s wings flapping, a heartbeat, a radiation signature. Except in special cases Kevin’s data does not exist in time – it is a single snapshot. 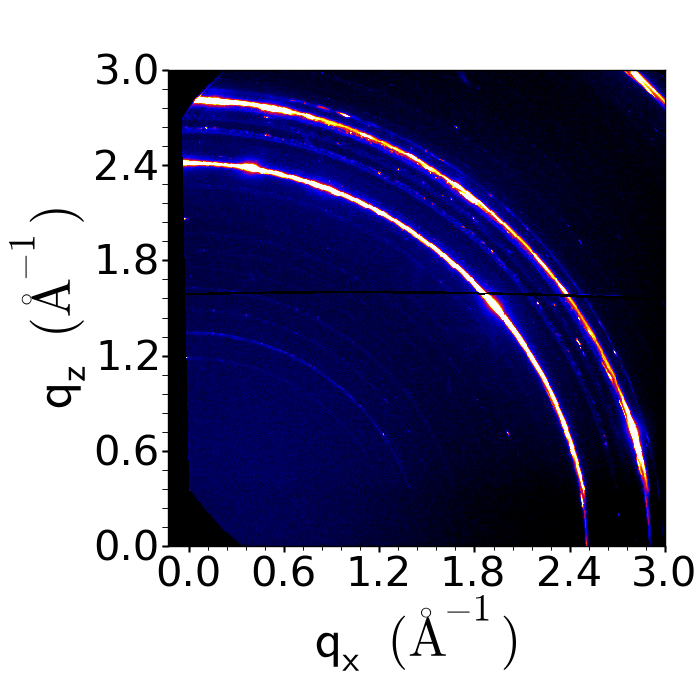 But because data from x-ray scattering is a Fourier Transform of the real-space density distribution, we could use additive synthesis, using multiple simultaneous sine waves, to represent different spatial modes. Using this method, we swept through his data radially, like a clock hand, making timbre-based sonifications from the data by synthesizing sine waves using with the loudness based on the intensity of the scattering data and frequency based on the position. We played a lot with the settings of the additive synthesis, including the length of the sound, the highest frequency and even the number of frequency bins (going back to the clock metaphor – pretend the clock hand is a ruler – the number of frequency bins would be the number of demarcations on the ruler) arriving eventually at set of optimized variables. On a software synthesizer this would be like the default setting. In the future we hope to have an interactive graphic user interface where sliders control these variables, just like a musician tweaks the sound of a synth, so scientists can bring out, or mask aspects of the data. Having these sliders would reinforce to the scientists that we are not creating “the sound of a metallic alloy,” we are creating one sonic representation of the data from the metallic alloy. It is interesting that such a representation can be vital to scientists. At first, my husband went along with this sonification project as more of a thought experiment rather than something that he thought would actually be useful in the lab, until he heard something distinct about one of those sounds, suggesting that there was a misaligned sample. Once Kevin heard that glitched sound (you can hear it in the video above), he was convinced that sonification was a useful tool for his lab. He and his colleagues are dealing with measurements 1/25,000th the width of a human hair, aiming an X-ray through twenty pieces of equipment to get the beam focused just right. If any piece of equipment is out of kilter, the data can’t be collected. This is where our ears’ non-directionality is useful. The scientist can be working on his/her computer and, using ambient sound, know when a sample is misaligned. 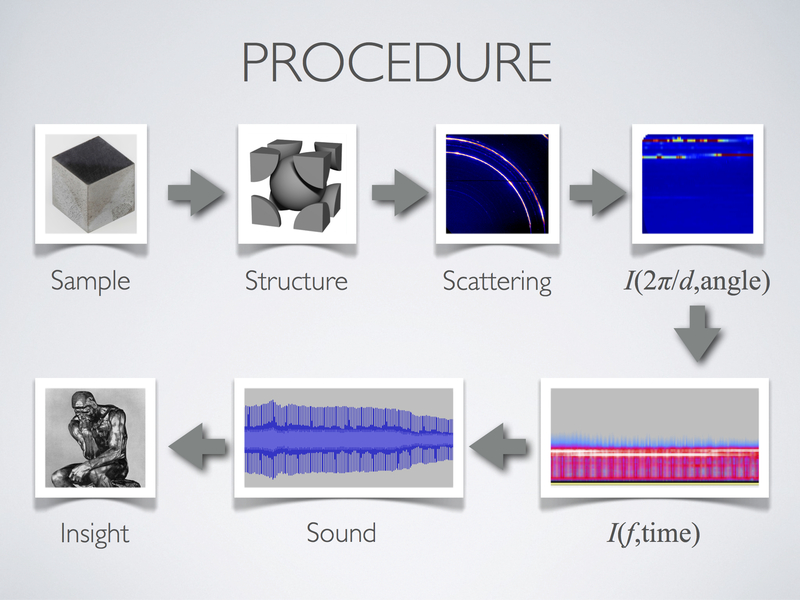 It remains to be seen/heard if the sonifications will be useful to actually understand the material structures. We are currently running an experiment using Mechanical Turk to determine this kind of multi-modal display (using vision and audio) is actually helpful. Basically we are training people on just the images of the scattering data, and testing how well they do, and training another group of people on the images plus the sonification and testing how well they do. I’m also working with collaborators at Stony Brook University on sonification of data. In one experiment we are using ambisonic (3-dimensional) sound to create a sonic map of the brain to understand drug addiction. Standing in the middle of the ambisonic cube, we hope to find relationships between voxels, a cube of brain tissue—analogous to pixels. When neurons fire in areas of the brain simultaneously there is most likely a causal relationship which can help scientists decode the brain activity of addiction. Computer vision researchers have been searching for these relationships unsuccessfully; we hope that our sonification will allow us to hear associations in distinct parts of the brain which are not easily recognized with sight. 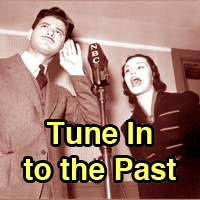 We are hoping to leverage the temporal pattern recognition of our auditory system, but we have been running into problems doing the sonification; each slice of data from the FMRI has about 300,000 data points. We have it working with 3,000 data points, but either our programming needs to get more efficient, or we have to get a much more powerful computer in order to work with all of the data. On another project we are hoping to sonify gait data using smartphones. I’m working with some of my music students and a professor of Physical Therapy, Lisa Muratori, who works on understanding the underlying mechanisms of mobility problems in Parkinsons’ Disease (PD). The physical therapy lab has a digital motion-capture system and a split-belt treadmill for asymmetric stepping—the patients are supported by a harness so they don’t fall. PD is a progressive nervous system disorder characterized by slow movement, rigidity, tremor, and postural instability. Because of degeneration of specific areas of the brain, individuals with PD have difficulty using internally driven cues to initiate and drive movement. However, many studies have demonstrated an almost normal movement pattern when persons with PD are provided external cues, including significant improvements in gait with rhythmic auditory cueing. So far the research with PD and sound has be unidirectional – the patients listen to sound and try to match their gait to the external rhythms from the auditory cues.In our system we will use bio-feedback to sonify data from sensors the patients will wear and feed error messages back to the patient through music. Eventually we hope that patients will be able to adjust their gait by listening to self-generated musical distortions on a smartphone. As sonification becomes more prevalent, it is important to understand that aesthetic decisions are inevitable and even essential in every kind of data representation. We are so accustomed to looking at visual representations of information—from maps to pie charts—that we may forget that these are also arbitrary transcodings. Even a photograph is not an unambiguous record of reality; the mechanics of the camera and artistic choices of the photographer control the representation. So too, in sonification, do we have considerable latitude. Rather than view these ambiguities as a nuisance, we should embrace them as a freedom that allows us to highlight salient features, or uncover previously invisible patterns. Margaret Anne Schedel is a composer and cellist specializing in the creation and performance of ferociously interactive media. She holds a certificate in Deep Listening with Pauline Oliveros and has studied composition with Mara Helmuth, Cort Lippe and McGregor Boyle. She sits on the boards of 60×60 Dance, the BEAM Foundation, Devotion Gallery, the International Computer Music Association, and Organised Sound. She contributed a chapter to the Cambridge Companion to Electronic Music, and is a joint author of Electronic Music published by Cambridge University Press. 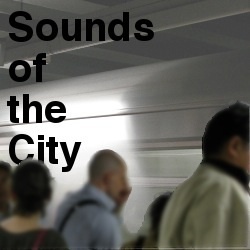 She recently edited an issue of Organised Sound on sonification. Her research focuses on gesture in music, and the sustainability of technology in art. She ran SUNY’s first Coursera Massive Open Online Course (MOOC) in 2013. As an Associate Professor of Music at Stony Brook University, she serves as Co-Director of Computer Music and is a core faculty member of cDACT, the consortium for digital art, culture and technology. Featured Image: Dr. Kevin Yager, data measured at X9 beamline, Brookhaven National Lab. Research carried out at the Center for Functional Nanomaterials, Brookhaven National Laboratory, is supported by the U.S. Department of Energy, Office of Basic Energy Sciences, under Contract No. DE-AC02-98CH10886. Margaret Anne Schedel is a composer and cellist specializing in the creation and performance of ferociously interactive media. Her works have been performed throughout the United States and abroad. While working towards a DMA in music composition at the University of Cincinnati College Conservatory of Music, her interactive multimedia opera, A King Listens, premiered at the Cincinnati Contemporary Arts Center and was profiled by apple.com. She is working towards a certificate in Deep Listening with Pauline Oliveros and has studied composition with Mara Helmuth, Cort Lippe and McGregor Boyle. She sits on the boards of 60x60 Dance, the BEAM Foundation, the Electronic Music Foundation Institute, the International Computer Music Association, the New West Electronic Art and Music Organization, and Organised Sound. She contributed a chapter to the Cambridge Companion to Electronic Music and her article on generative multimedia was recently published in Contemporary Music Review. Her work has been supported by the Presser Foundation, Centro Mexicano para la Música y les Artes Sonoras, and Meet the Composer. In 2009 she won the first Ruth Anderson Prize for her interactive installation Twenty Love Songs and a Song of Despair. As an Assistant Professor of Music at Stony Brook University, she serves as Co-Director of Computer Music and is a core faculty member of cDACT, the consortium for digital art, culture and technology. In 2010 she chaired the International Computer Music Conference.